We have been busy with our programs and especially our school visits! 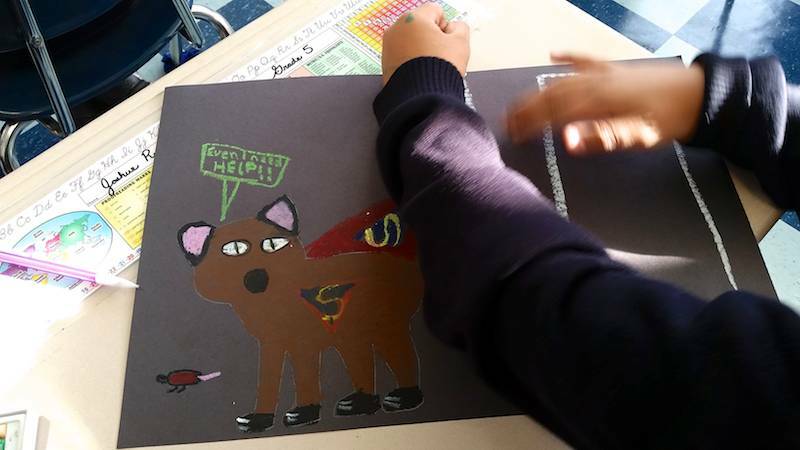 I wanted to share with you a few pictures of some 5th graders who have made Urban Coyote posters in order to share with others the important roles that coyotes play in our urban communities. My favorite is one of a young boy who turned his coyote into a super hero! (There is a rat in the corner since we talk with the children about coyotes in the food chain and how they eat rats- which keeps the population down). 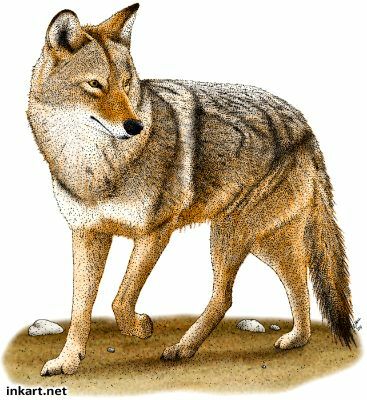 So far we have visited several classes with our Urban Wildlife lesson and have been able to share with them many great facts on coyote and the importance of leaving them alone and making sure dogs are leashed. It’s been really fun and the students seem to be really getting the message. Thank you again for all you do! I hope you enjoy the pictures! I live in Escondido – just outside San Diego, and we have a 1/2 acre garden on top of a tall hill overlooking Lake Hodges and the inland valleys, pretty much a 360 degree view! 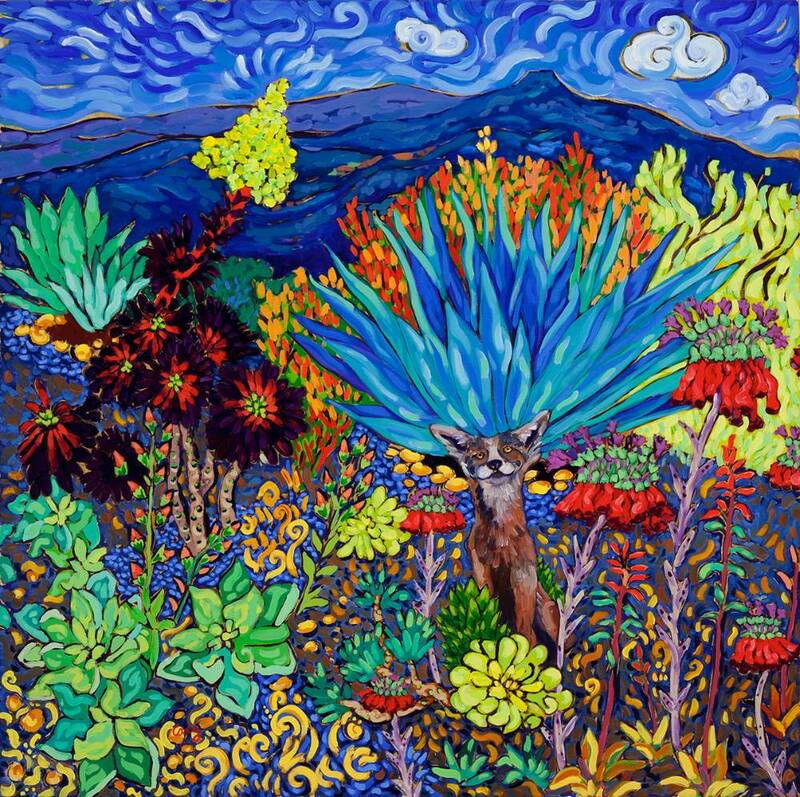 I did this painting of our garden with Starvation Mountain in the background, after watching two generations of coyote pups. They were born under some bushes a few houses away. 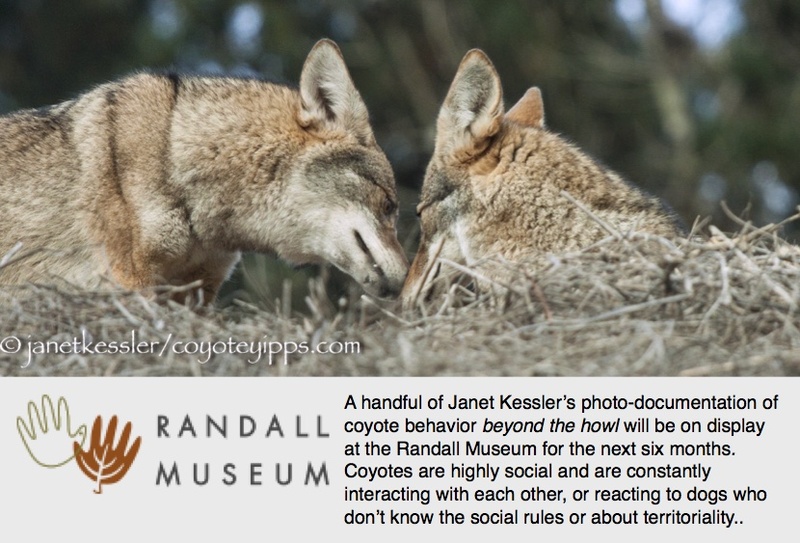 I found Janet Kessler’s blog “Coyote Yipps” and I loved the look on this little guys face. It was the look of contentment and peace with your world I wanted to capture for this painting. Roger Hall Illustrates Our Wildlife! For more of Roger’s work, please press links below, or visit his site: http://www.inkart.net/ and https://www.facebook.com/rogerhallart.